CAELAN NOYES: Caelan is an incoming junior at Lowell who joined YFAT due to his lack of plans for the summer. Joining Lowell’s technical theater during his sophomore year, he found that he enjoyed it much more than he expected and is glad to continue it over the course of his vacation. He dreams of one day not forgetting he has an autobiography to write until the night before it’s due. CAROLYN MAUNG: Carolyn Maung is a junior who first joined theater tech at Lowell out of boredom, but ended up signing her life away to it after realizing the magic and fun of backstage theater. When she is not busy sobbing over school work, she is commonly seen sobbing over the internet, TV shows, and games. 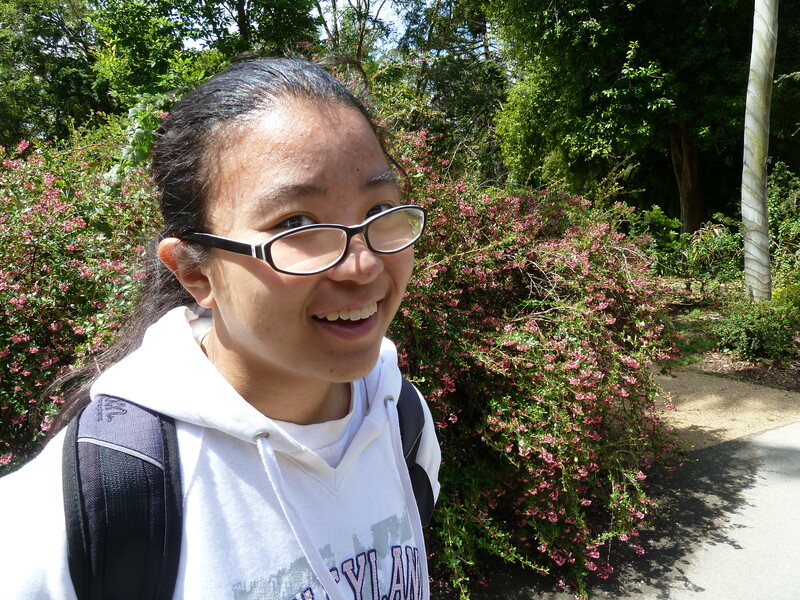 CHRISTINE MAUNG: Christine Maung is a lazy student that enjoys challenges and puns. She first took interest in theater tech after seeing a few plays and countless stories from her sister, Carolyn Maung. She has also taken interest in building things like props after joining Balboa High School’s woodshop. Her hobbies include playing video games and drawing. DAVID YI: David Yi is a tall 16 year old attending Lowell High School. This is his first year at YFAT so he has absolutely no idea what the heck is going on, but he is going to try his best at being a techie. He currently has no plans for the summer, but would like to hang out with his friends if they have the time. Otherwise, he would be cooped up in his room on the computer all day. 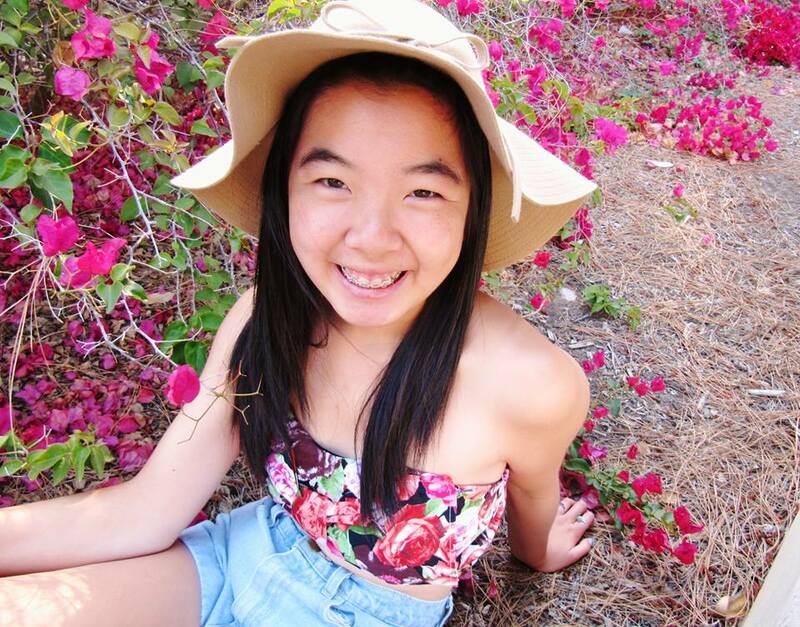 HANNAH YEE: Hannah is 16 years old and this is her first year at YFAT! She became interested in the program after seeing many flyers posted on the walls of Lowell High School. She spends most of her time doing ballet, watching “Friends” and “How I Met Your Mother”, eating eclairs, sewing, and thrift shopping. In the future she wants to study Women’s Rights and continue traveling the world. 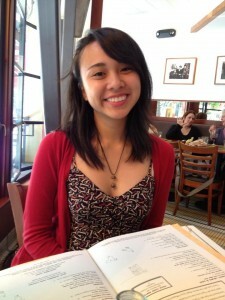 IVY LA: Ivy is an incoming sophomore at Lowell High School. She is a tractor (techie + actor) at YFAT. Although she does not wheel around and plow dirt all day, she likes to watch baseball, hang out with her friends, make puns, laugh and watch her turtle Jimmy. JACKSON MURPHY: Jackson Murphy is a newcomer to YFAT. He’s been passionate about theatre his entire life, acting in numerous productions. JAKOB HOFSO: Jakob Hofso is a senior at Lowell High School. He has worked as an actor, writer, and director in his first YFAT production. Previous credits include Servant of Two Masters (Coro Lazzi), Romeo and Juliet (Peter), You Can’t Take it With You (Mr. DePinna), and The Lottery (Co-Director). JERRY NG: Jerry Ng has taken the job of co-directing Youth for Asian Theater with partner in crime, Reyana Maguad. This is his second year of acting with YFAT and he hopes that he can put his acting skills to good use this year. Acting only on days that Youth for Asian Theater rehearses, he spends the rest of his time sitting in front of the computer watching TV shows and surfing the internet. Countless hours on the internet have crippled his brain and his determination to do anything other than what he desires. Lowellites may notice this bespectacled, vertically challenged, Asian kid in the hallways with his endless collection of fandom themed accessories. Lowellites may also spot him next year on stage during Lowell’s fall play. He hopes that one day he can make it big in the acting business. JESSE CHUNG: Jesse has many passions – dancing, gaming, stuffed animals – but the top two contenders would have to be writing and acting. Without these two, Jesse would not exist and the world would end. While he was not sure of what the extent of his involvement in YFAT would be this year, as they say one thing led to the next and now he’s making the directing of his two YFAT plays this year a priority in his schedule. Also, as he watches the world slowly kill itself, its values, and its chickens in the name of progress, he feels he has to do something to keep the spirit of art and fun alive. And even more importantly, he’s loving every moment of it. There’s much more Jesse could tell you about himself, but there’s really not enough time in the ‘verse. And words are just words. So like his god-on-earth inspiration Jung Yunho, he will let his actions speak for himself and get back to doing whatever it is that Jesse does. Even Jesse doesn’t fully know what Jesse does. JOLINA LAM: Jolina goes to Lowell High School. This is her first year in YFAT and hopes to refine her techie skills outside of school productions. She spends most of her time with her head in math equations (if not math, then physics), in a computer (literally, to fix it), in an unfinished video game (both playing and developing), or in hours of dance. JOMAR VILLAGRACIA: Jomar is an upcoming junior at Lowell High School. He is one of YFAT’s actors, who hopes to bring much honor and glory to YFAT. When he isn’t making people cry, laugh, or die doing theater, he serves as an evangelist for the Holy Church of the Banana, bringing praise to the Holy Trinity of Nicholas Cage, Optimus Prime, and Cthulhu. During his free time, he spends his hours superglued, stapled, and taped to a computer, ruining his sanity and his social skills. Jomar is known for his ravishingly good looks and his ability to make all the females in the world faint with a single syllable from his mouth. Truly, the pinnacle of human evolution. 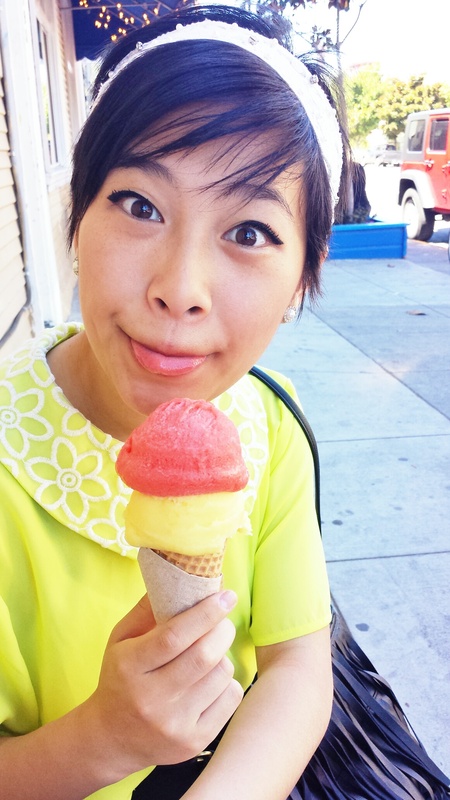 JULIE LAM: Julie Lam is a returning YFAT member. She is going to direct a play this summer, but not really much else unfortunately. Her father would much rather have her study. But while her father thinks that she is studying, she is actually listening to kpop, learning korean, going on youtube, doing yfat stuff, and dillydallying. LAURA ZIGANTI: Laura [the magnificent] is a 16 year-old student at Skyline community college. She graduated early from Lowell as a Sophomore because she is waay too cool for the social norm of high schooling. Laura likes drinking iced coffee from Starbucks with a half-packet of sugar and just a dash of milk(in case anyone were to find this information valuable.) This is her first time being in YFAT and she is a techie. MICHAEL ARAULA: Michael is an incoming sophomore at Lowell High School. It’s his first year at YFAT and has little experience in Drama. He likes to try new things, which is why he joined YFAT. If he isn’t at YFAT, he is either working or playing basketball. He hopes to learn a lot and enjoy his experience. REYANA MAGUAD: Reyana Maguad is a soon-to-be sixteen-year-old filled with excitement for her second year at YFAT. This year, on top of her usual acting, she has written a play, is directing another, and has taken up the job of co-program director with none other than Jerry Ng. It sounds like a handful, but she is honestly having the time of her life. Her other summer activities include Warped Tour, the gay pride parade, and- of course- her beloved computer. Fellow Lowellites may be able to spot her this fall as the junior spending too long at her locker and eating in class. TERESA IBARRA: Teresa Ibarra is an incoming junior at Lowell High School, and this is her second year doing YFAT. She literally has not changed, like, at all since last year, except she probably got a little more anxious, and is now almost always confused. If you need her for something, she’s probably reblogging pictures of cats on Tumblr and/or rambling about things. She enjoys not doing anything at all. Teresa believes that this summer will be just as mind-blowingly awesome as the last and hopes YFAT will continue to help her acting skills, because reasons. 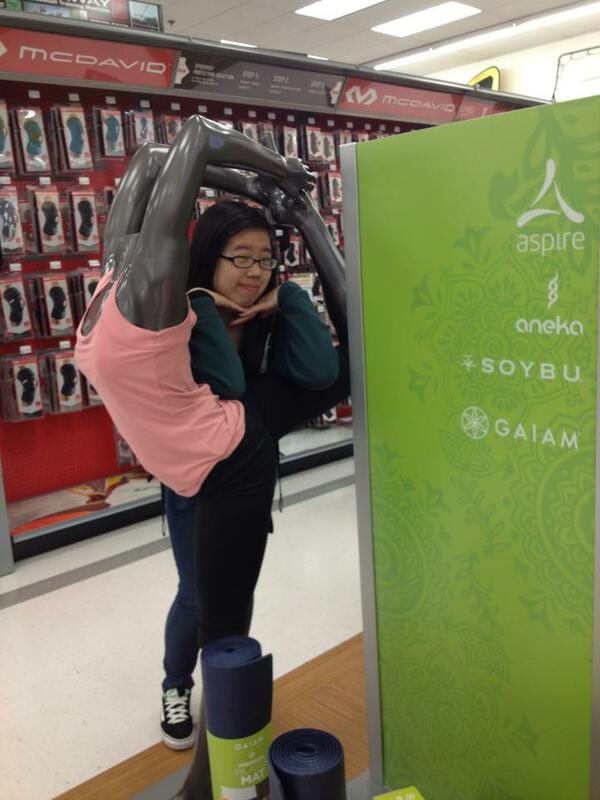 YU LING WU: Yu Ling Wu is a senior at Lowell High School. She spends her free time turning her brain into mush as she watches SNL (since her ultimate dream is to be on SNL…or work for Ellen DeGeneres…or be a Jedi Knight) and Whose Line Is It Anyway? When she is not being a couch potato, she is impersonating her mother or dressed in a fancy suit competing in speech tournaments. Yu Ling has a passion for the arts and jumps at any chance to act. Her favorite feeling in the world is when she makes another person laugh. She also has a shopping obsession and is the biggest Lady GaGa fan you will ever meet. ZOLA HANSON: The incoming sophomore Lowellite first time YFAT actor is having a ball with YFAT. She likes to read really badly written novels (because it’s fun), quote and make Charmed references (because it’s an awesome show plus she wants to be magical) and bursting into song randomly (because why not?) the best reward for her is to make anyone smile. She would love to be on Broadway at some point in the future.